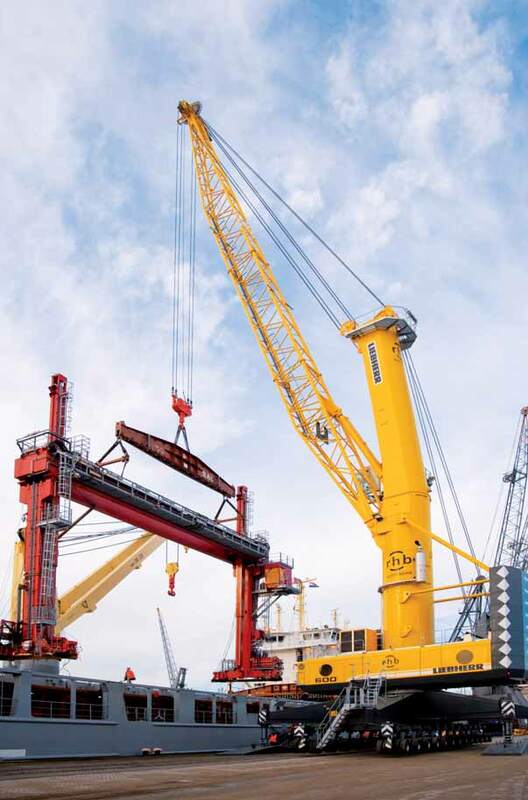 RHB Stevedoring & Warehousing has purchased the world’s most powerful mobile harbour crane. This crane, purchased in 2008, has a lifting capacity of 208 tonnes, and is designed for safe and fast handling of industrial break bulk, project cargo, heavy lifts and general cargo. Savings in transshipment time of up to 50% can also be realized, a big advantage in light of today’s high costs for seagoing vessels and barges. Besides its own heavy lift crane, RHB Stevedoring & Warehousing uses partner floating cranes for the handling of heavies up to 1,800 tonnes single weight.